Humanity is in the midst of transforming, and a new unity consciousness is emerging. In future history this era may be viewed as an era of a monumental Spiritual Renaissance. The spiritual significance of the final days and weeks of 2012 cannot be overstated. We are currently traversing the period from the Age of Pisces to the beginning of Aquarius, the end of the Hindu Kali Yuga, the completion of the Mayan fifth age, and the close of the Mesoamerican fifth world, and with these endings and beginnings the very fabric of reality is changing. Seers, shamans, scholars and astrologers have written volumes about this pivotal time with its various cosmic configurations and planetary alignments over the three days of the summer/winter solstice of 20, 21, 22 December 2012. Vastly differing views of the possible ramifications range from apocalyptic scenarios to enlightenment of large sections of the global population. Beyond the much-publicised fear-engendering turbulence there is a glorious world of radiance and reconnection to the divine Infinite in progress. 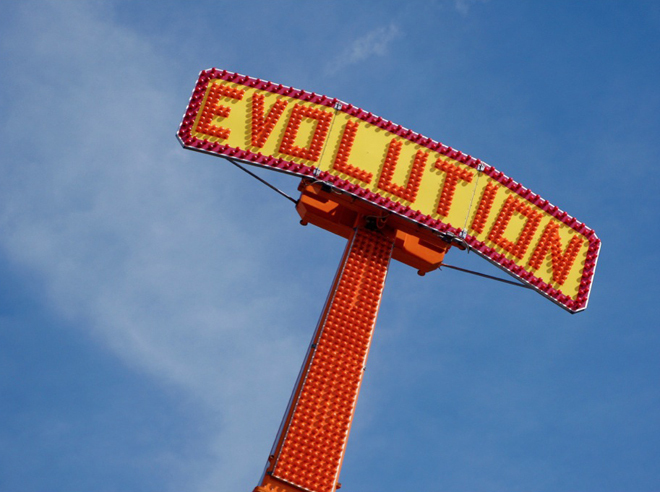 Whether we know it yet or not, we are all participating in this massive evolutionary shift. 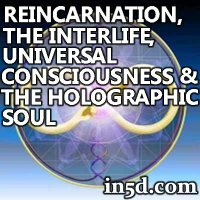 Humanity has been living an illusion or false consensus reality for eons – a virtual dream or hologram held in place by energetic matrixes that can no longer be sustained and are currently breaking down. This dismantling is enabling individuals to see beyond the gross illusions that the majority have accepted as the true nature of reality for eons. The personal clearings and subsequent awakenings have been radically accelerating for the past few decades and particularly since the Harmonic Convergence in August 1987. No-one can truly know exactly what will happen in the time-frame around the December 2012 solstice, and throughout 2013 and beyond, because it is ‘we’ who are the creators and midwives giving birth to this new reality by our personal choices and the manner in which we prioritise our intentions. In the light of exponential spiritualisation, it is impossible to know just what we’ll bring into existence, both individually and collectively. The time is perfect now to do a detailed personal reassessment and visioning for all the dreams you have ever held for yourself, your loved ones, and for the planet. As we become more aware of our growing spiritual enlightenment, we find it unconscionable to do harm to any living thing. 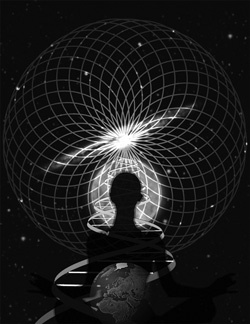 The shift in consciousness and energy popularly known as ‘The Shift’ is an on-going process, and with the associated illumination comes massive evolutionary advancement. People actively exploring full consciousness, societal improvements, and an understanding of our place in the galaxy are gaining a real sense of the magnitude of transformation during this time frame. 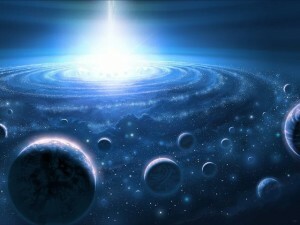 The Shift ushers in the turning point for genuine personal and planetary ascension. We can make the most of this remarkable time by understanding how we empower and manifest whatever we give our attention to. It is crucial to be extremely mindful of the quality of our thoughts, emotions, intentions and actions. In the coming weeks and months we may find ourselves having many more epiphanies or aha! moments along with being presented with unprecedented opportunities for further awakening. Spontaneous pineal and heart openings, for example, may lead to phenomenal spiritual experiences that confirm the actual nature of our multidimensionality, connections with previously invisible spirit beings, and a true understanding of our connection to the Infinite and all that it means. By welcoming exponential change and keeping our wits about us, we may rest in the knowledge that our intuition and allies will guide us to the best ways through the changes both within ourselves, and in those around us. 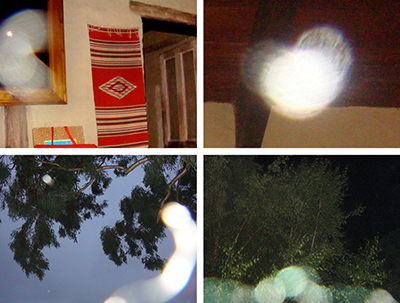 Look for guidance and answers in the Spirit Orb phenomenon. No-one is alone on this journey to exponential illumination. Light-workers are willing to support our awakening, aided by nature spirits, innumerable angels, ascended masters, and other spirit beings. In order to understand and embrace the New Frontier, let’s first briefly examine the nature of life on earth as we have known it for millennia. It may also be called the Old Frontier, or the Old Reality. We know these Old Frontiers very well as we have traversed them endlessly, repeating the same patterns and life experiences over and over again. In this context the ‘frontier’ is much more than a boundary or a veil, as once crossed it opens to infinite fields of experiences and possibilities. The Old Frontier was an illusory world restricted within matrixes very often made of beliefs, agendas and rules imposed and controlled by others. It was largely characterised as an external world of opposites such as good and evil, fear and love, harmony and chaos, war and peace, heaven and hell, wealth and poverty, clarity and confusion, wellness and illness, and other distorted perceptions that enforced duality as the true nature of reality. This perception is now changing in the current climate. In the future the ‘demarcation line’ between the Old and the New may be acknowledged as having occurred around the December 2012 Solstice. Socrates wrote, ‘The unexamined life is not worth living.’ He had a good point. The gift of life is not all about life missions, job descriptions, and obedience to external authority as we have been led to believe. Self-discovery is a foremost reason for existence, along with learning to follow our passions and to live from the heart. Many may be experiencing a number of ‘dark night of the soul’ episodes requiring intently working through unresolved shadow issues to gain understanding and forgiveness. This inner work is the greatest work we can do. As we garner insights and turn them into wisdom, we free ourselves from the shackles of a painful past if applicable, while those who have enjoyed a pain-free past may discover new ways of being creative and of service. The inner emotional work clears our energy fields of encumbrances. Once insights are brought to light and acknowledged, there is no desire for endlessly repeating already lived experiences. Grand new vistas await and we can consciously embark upon the next stage of evolution involving such pleasures as an ever-deepening connection to the natural world, greater intimacy in relationships, enhanced creative endeavours, access to the sacred mystical realms, and a conscious connection to the Infinite. Choices are being made at either a conscious or subconscious level to either remain in the cataclysmic world of opposites, or to evolve into the authentic and glorious realms of Oneness. This involves the shattering of long held beliefs. Some will have noticed appreciable changes in dynamics with family and friends, and in career and living arrangements. Ultimately, the movement away from any stagnant places and non-supportive relationships facilitates the expansion of personal growth and enlightenment. Throughout the past decade a growing number of people seem to be experiencing symptoms of The Shift, frequently referred to as Ascension Symptoms that may be either gradual or spontaneous, and debilitating or exhilarating. Eventually, challenging symptoms are replaced by the euphoria of an authentic sense of belonging, an increase in synchronicities, faster manifestation, miracles, deeper connection to nature, greater sense of beauty, heightened creative skills, new healing abilities, genuine self-love, total presence in the moment, meetings with remarkable beings, abundance when needed, enjoyment of the simple things, light hearted humour, and inner peace. We may ask ourselves: How will my life function in the presence of timelessness? As time subsides linear time becomes obsolete. This is what is meant by the end of time. Think about that. Previous timelines of past, present and future will all be simultaneous in the quantum fields of the New Frontier. We learn to live with full awareness in the moment, much like a young child who involves all the senses to give total attention to the activity at hand. We will discover the gracious art of creating through the heart with love and gratitude, and once awakened to this, there will be no desire to revert to old outmoded ways of living. We will have access to all information that ever was, is, and will be, as we move into the higher expressions of ourselves, and participate in becoming an entirely new species as we metamorphose from homo sapiens into homo luminous. Numerous seers, shamans, leaders and way-showers throughout the world may already be experiencing the awakened Cosmic Consciousness of Oneness. Some have become role models paving the way for our homecoming to the Infinite, inspiring participants to seek the truth, and in anchoring the intense new energies. Many are working assiduously at this golden time of cosmic change to ensure that another long cycle of the duality of opposites never has to be repeated. In recent years, health issues, scandals, misrepresentation and corruption have thwarted many of these great leaders of integrity and vision from delivering their teachings. On occasion, dark, jealous and corrupt forces have worked to tarnish their credibility and to dilute their messages. Fortunately, in the current energies now facilitating total transparency – people, politics and corporations are being seen for what they are in their true light – or darkness. Ethical spiritual leaders appear filled with light as their auras expand with vibrancy, and their skin glows with luminosity. Merely coming in contact with them may elevate receptive students to total healing on all levels and to new mystical experiences. It is becoming more common for seers and shamans to dematerialise and shape-shift into other dimensions, bi-locate and spontaneously levitate before their students. Some can access hidden records of the earth to help navigate humanity along the profusion of pathways and bridges to the New Frontier. The road to awakening lies within. Enticements to look outside for the Holy Grail have been instrumental in maintaining the illusion, when all along it has been slumbering within, silently awaiting our discovery. As we progress through The Shift we experience the full capabilities of the body and mind. When the glands, chakras, pranic tube, brain and high heart in particular become activated beyond their current minimal capacity, perception changes and we live from the fullness of our merged aspects and new mastery. The hypothalamus, pituitary, thyroid, adrenals, pineal, and the reproductive glands are the major glands forming the human endocrine system and none of these have been functioning to their maximum capacity. When fully operative these glands secrete hormones directly into the bloodstream that are responsible for the regeneration and transfiguration of the body. By turning within and meditating, and by observing in silence of mind we finally become familiar with the vast being that we truly are, and have been all throughout eternity, as human expressions of the Infinite. We are much more than our body, mind and emotions. Matter is lit from within. Matter is energy and light. Timelessness. Past, present and future being simultaneous. A life of synchronicity and miracles. Observer consciousness. Awareness of the very big picture. Love takes on new meanings. All needs met for every individual on earth. Sacred interaction with the environment. Absent loved ones greeted in the present. Immense gratitude for learning, love and enchantment. Changes in bodily needs and functions. Access to the archives of the earth and cosmos. Zest for living, discovery and creation. Life becomes a work of art and excellence. Co-creation with spirit orbs, ascended masters, angels, nature spirits and star people. Exploring celestial holy cities and environments. Free energy and high technology devices. Developing a deeper relationship with the Infinite. Seeing the Infinite in all things. New information in frequencies and light. The mystical gifts that have been there all along, yet hidden become sublimely apparent as we venture to explore what lies within and beyond the New Frontier. It is evident that we only know a minute fraction of what ‘is’, and now, during this Spiritual Renaissance, humanity has the opportunity to make known the unknown, in order to further access the unknowable. Along with dealing with various debilitating ascension symptoms, our immediate challenges are in developing our under-utilised capabilities, and in having the courage to welcome monumental positive change into our lives. As we open to the new and modify our beliefs and behaviours we come to understand that we are made of many multidimensional aspects. By slowing down and allowing sufficient time to befriend and absorb these aspects we are able to integrate our new discoveries and abilities with ease and without resistance. As we cross the borders into the New Frontier we are welcomed to fields upon fields of glorious experiences silently awaiting our discovery and delight. If you could escape the human time scale for a moment, and regard evolution from the perspective of deep time, in which the last 10,000 years are a short chapter in a long saga, you’d say: Things are pretty wild right now. In the most massive study of genetic variation yet, researchers estimated the age of more than one million variants, or changes to our DNA code, found across human populations. The vast majority proved to be quite young. The chronologies tell a story of evolutionary dynamics in recent human history, a period characterized by both narrow reproductive bottlenecks and sudden, enormous population growth. The evolutionary dynamics of these features resulted in a flood of new genetic variation, accumulating so fast that natural selection hasn’t caught up yet. As a species, we are freshly bursting with the raw material of evolution. Akey specializes in what’s known as rare variation, or changes in DNA that are found in perhaps one in 100 people, or even fewer. For practical reasons, rare variants have only been studied in earnest for the last several years. Before then, it was simply too expensive. Genomics focused mostly on what are known as common variants. However, as dramatically illustrated by a landmark series of papers to appear this year — by Alon Keinan and Andrew Clark, by Matt Nelson and John Novembre, and another by Akey’s group, all appearing in Science, along with new results from the humanity-spanning 1,000 Genomes Project — common variants are just a small part of the big picture. They’re vastly outnumbered by rare variants, and tend to have weaker effects. But these findings can also been seen from another angle. They teach us about human evolution, in particular the course it’s taken since modern Homo sapiens migrated out of Africa, learned to farm, and became the planet’s dominant life form. Akey isn’t the first scientist to use modern genetic data as a window into recent and ongoing human evolution, nor the first to root rare variation in humanity’s post-Ice Age population boom. The new study’s insights reside in its depth and detail. The researchers sequenced in exhaustive detail protein-coding genes from 6,515 people, compiling a list of every DNA variation they found — 1,146,401 in all, of which 73 percent were rare. To these they applied a type of statistical analysis, customized for human populations but better known from studies of animal evolution, that infers ancestral relationships from existing genetic patterns. “There were other hints of what’s going on, but nobody has studied such a massive number of coding regions from such a high number of individuals,” said geneticist Sarah Tishkoff of the University of Pennsylvania. Akey’s group found that rare variations tended to be relatively new, with some 73 percent of all genetic variation arising in just the last 5,000 years. Of variations that seem likely to cause harm, a full 91 percent emerged in this time. Why is this? Much of it is a function of population growth. Part of it is straightforward population growth. Just 10,000 years ago, at the end of the last Ice Age, there were roughly 5 million humans on Earth. Now there are 7 billion. With each instance of reproduction, a few random variations emerge; multiply that across humanity’s expanding numbers, and enormous amounts of variation are generated. Also playing a role are the dynamics of bottlenecks, or periods when populations are reduced to a small number. The out-of-Africa migration represents one such bottleneck, and others have occurred during times of geographic and cultural isolation. Scientists have shown that when populations are small, natural selection actually becomes weaker, and the effects of randomness grow more powerful. Put these dynamics together, and the Homo sapiens narrative that emerges is one in which, for non-African populations, the out-of-Africa bottleneck created a period in which natural selection’s effects diminished, followed by a global population boom and its attendant wave of new variation. The result, calculated Akey, is that people of European descent have five times as many gene variants as they would if population growth had been slow and steady. People of African descent, whose ancestors didn’t go through that original bottleneck, have somewhat less new variation, but it’s still a large amount: three times more variation than would have accumulated under slow-growth conditions. Natural selection never stopped acting, of course. 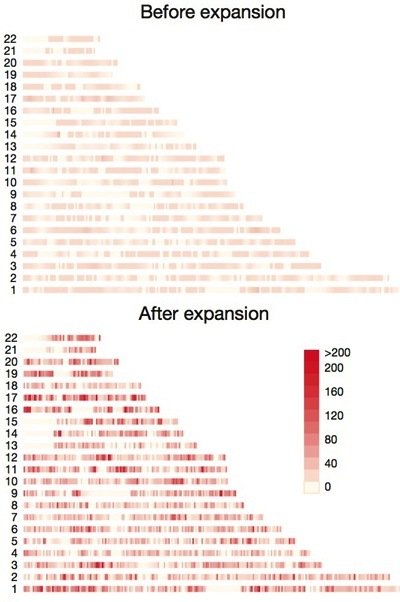 New mutations with especially beneficial effects, such as lactose tolerance, still spread rapidly, while those with immediately harmful consequences likely vanished within a few generations of appearing. But most variation has small, subtle effects. It’s this type of variation that’s proliferated so wildly. “Population growth is happening so fast that selection is having a hard time keeping up with the new, deleterious alleles,” said Akey. One consequence of this is the accumulation in humanity of gene variants with potentially harmful effects. Akey’s group found that a full 86 percent of variants that look as though they might be deleterious are less than 10,000 years old, and many have only existed for the last millennium. “Humans today carry a much larger load of deleterious variants than our species carried just prior to its massive expansion just a couple hundred generations ago,” said population geneticist Alon Keinan of Cornell University, whose own work helped link rare variation patterns to the population boom. The inverse is also true. Present-day humanity also carries a much larger load of potentially positive variation, not to mention variation with no appreciable consequences at all. These variations, known to scientists as “cryptic,” that might actually be evolution’s hidden fuel: mutations that on their own have no significance can combine to produce unexpected, powerful effects. Indeed, the genetic seeds of exceptional traits, such as endurance or strength or innate intelligence, may now be circulating in humanity. “The genetic potential of our population is vastly different than what it was 10,000 years ago,” Akey said. How will humanity evolve in the next few thousand years? It’s impossible to predict but fun to speculate, said Akey. A potentially interesting wrinkle to the human story is that, while bottlenecks reduce selection pressure, evolutionary models show that large populations actually increase selection’s effects. Given the incredible speed and scope of human population growth, this increased pressure hasn’t yet caught up to the burst of new variation, but eventually it might. It could even be anticipated, at least from theoretical models, that natural selection on humans will actually become stronger than it’s ever been. An inevitably complicating factor is that natural selection isn’t as natural as it used to be. Theoretical models don’t account for culture and technology, two forces with profound influences. Widespread use of reproductive technologies like fetal genome sequencing might ease selection pressures, or even make them more intense. As for future studies in genetic anthropology, Akey said scientists are approaching the limits of what can be known from genes alone. “We need to take advantage of what people have learned in anthropology and ecology and linguistics, and synthesize all this into a coherent narrative of human evolution,” he said. Geneticist Robert Moyzis of the University of California, Irvine, co-author of a 2007 study on accelerating human evolution, noted that the new study only looked at protein-coding genes, which account for only a small portion of the entire human genome. Much of humanity’s rare variation remains to be analyzed. Moyzis’ co-authors on that study, geneticist Henry Harpending of the University of Utah and anthropologist John Hawks of the University of Wisconsin, also warned against jumping to early conclusions based on the new study’s dating. 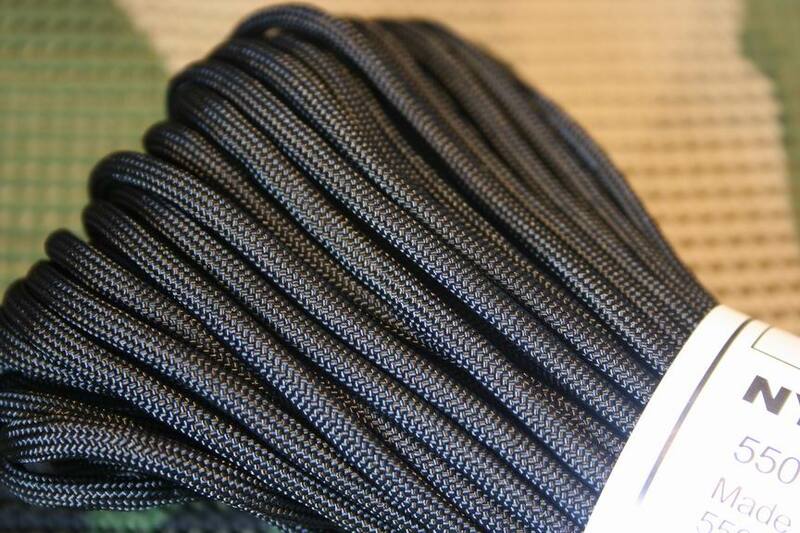 Some of what appears to be new variation might actually be old, said Hawks. A view of Mount Tongariro just after it erupted on Wednesday (Nov. 21). New Zealand’s Mount Tongariro volcano erupted for the second time this year on Wednesday (Nov. 21), sending a plume of ash 2.5 miles (4 kilometers) skyward and raising the odds that another eruption is imminent. Tongariro, one of three active volcanoes that stand over Tongariro National Park in the heart of New Zealand’s North Island, lay dormant for more than a century before blowing open its Te Maari crater in August. That eruption was augured by an increase in seismic activity, but Wednesday’s eruption came without any warning, said volcanologist Tony Hurst, who spoke to Radio New Zealand. There were hikers in the area at the time of the eruption, including a group of schoolchildren, but no injuries have been reported. Hurst said the eruption was relatively non-threatening because it didn’t eject many rocks, suggesting it may have originated from the same vent that had been mostly cleared out by the August eruption, which rained rocks on a hiker’s shelter a mile (1.5 km) away from the crater. Middle school teacher Paul Lowes was hiking on Tongariro with his class when Wednesday’s 5-minute eruption began, at about 1:25 p.m. local time. Scientists had no reason to expect the eruption, but one no-warning eruption serves as a warning for the next. That’s because, historically, the Te Maari crater has had a tendency to break a silence and keep talking. , issued a warning that Mount Ruapehu, a neighboring volcano, is showing signs that it may erupt in the coming weeks or months. Tongariro National Park served as the backdrop of numerous scenes in the “Lord of the Rings” film trilogy, standing in for the fictional land of Mordor. The park’s third active volcano, Mount Nguaruhoe, featured as the movies’ Mount Doom in long shots. That volcano last erupted in 1975. 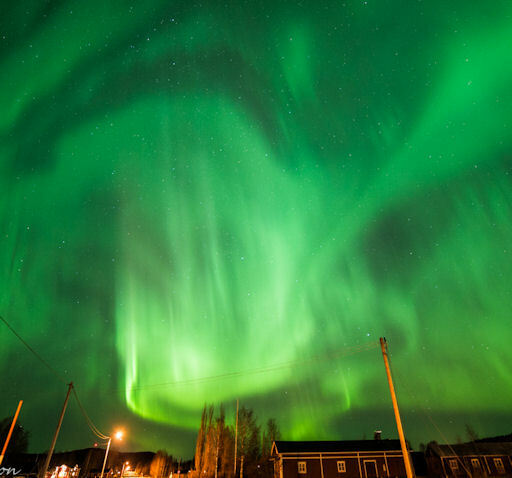 GEOMAGNETIC STORM WATCH: A geomagnetic storm is brewing around Earth’s poles following a CME strike on Nov. 23rd. A second CME is en route, due to arrive on Nov. 24th. NOAA forecasters say there is a 65% chance that the second strike will trigger strong storms at high latitudes. Based on an increasing number of visitors joining us from Japan, we believe that an earthquake was felt. Update : The hypocenter of this earthquake was at an intermediate depth but the epicenter was very close to Tokyo. As the earthquake was so close to Tokyo, the capital had almost no warning as the P wave arrived almost at the same time than the S wave. Update 09:31 UTC : JMA Japan reports a Magnitude of (only) M4.9 at a depth of 80 km. Harmless but well felt by the population. The max. intensity was 4 JM. ER considers 5+ as a potentially dangerous level. Based on the number of people visiting our site from Japan and compared to other events during the last couple of weeks, people were very anxious to see where the epicenter was. Update 09:39 UTC : This earthquake proves that earthquakes also happen almost below the city itself and that Tokyo citizens will not always be warned of an upcoming wave as the P and S waves are arriving at almost the same moment. towards. But what about the idea that we only reincarnate for as long as we fail to see through the ‘illusion’, and that as soon as we gain ‘enlightenment’ we can ‘break the bonds of karma’ and ‘reunite with the Source’? More radical still, what about the idea that any notion of individuality is completely illusory on all levels, and that as soon as we die there is no sense of continuation of any sort of individual soul consciousness? Bruce also knew that Huston had flown Wildcats, not Corsairs, on the Natoma Bay. But when he made contact with Huston’s elderly sister she kindly sent him some photos – including one of her brother standing proudly next to a Corsair. Military records then showed he had originally been part of an elite special squadron who test-flew these planes. But the real clincher involves three ‘GI Joe’ dolls. When Bruce asked his son why he called them Leon, Walter and Billie he replied, “Because they greeted me when I went to heaven.” Again military records confirmed that three of Huston’s fellow Natoma Bay pilots were Lt Leon S. Conner, Ensign Walter J. Devlin and Ensign Billie R. Peeler – and that all three had diedbefore Huston on other engagements. None of this detailed information is available on the internet pages about the Natoma Bay even now, let alone in popular books and so on. IAN LAWTON is a spiritual philosopher, the architect of ‘Rational Spirituality’ and one of the world’s leading authorities on the interlife. Further case studies are available in the simple, pocket-size Little Book of the Soul (2007), while the full research for this article can be found in The Big Book of the Soul (2008). For further information and to order The Big Book of the Soul, see www.ianlawton.com. 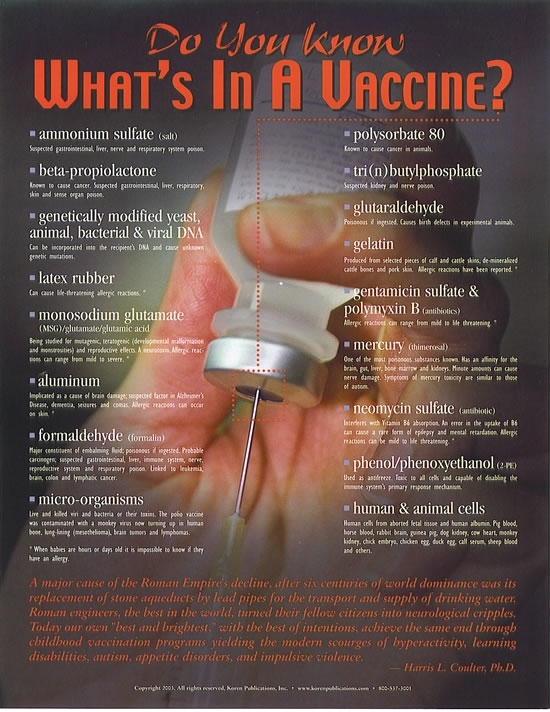 Time for a Wake Up Call – The Vaccination Hoax Debunked! Are you scared when you’re told you have to vaccinate your child with 49 doses in 14 vaccines before age 6? Or are you scared at the idea of not vaccinating and so “exposing” your child to serious illnesses? Are you scared about the school threatening you that if you don’t vaccinate you can’t enroll your child? The 45 page paper with detailed evidence can be downloaded here: The vaccination policy and the Code of Practice of the Joint Committee on Vaccination and Immunisation (JCVI): are they at odds? Here I present the documentation which appears to show that the Joint Committee on Vaccination and Immunisation (JCVI) made continuous efforts to withhold critical data on severe adverse reactions and contraindications to vaccinations to both parents and health practitioners in order to reach overall vaccination rates which they deemed were necessary for “herd immunity”, a concept which with regards to vaccination, and contrary to prevalent beliefs, does not rest on solid scientific evidence as will be explained. 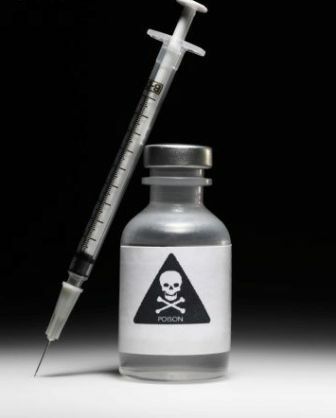 As a result of such vaccination policy promoted by the JCVI and the UK Department of Health (DH),many children have been vaccinated without their parents being disclosed the critical information about demonstrated risks of serious adverse reactions, one that the JCVI appeared to have been fully aware of. It would also appear that, by withholding this information, the JCVI/DH neglected the right of individuals to make an informed consent concerning vaccination. By doing so, the JCVI/DH may have violated not only International Guidelines for Medical Ethics (i.e., Helsinki Declaration and the International Code of Medical Ethics)  but also, their own Code of Practice. Information AGAINST vaccination is incredibly vast, believe it or not. Updated, most reliable sources and scientific data, as well as more and more medical doctors bring strong evidence about how harmful and unnecessary vaccination is. 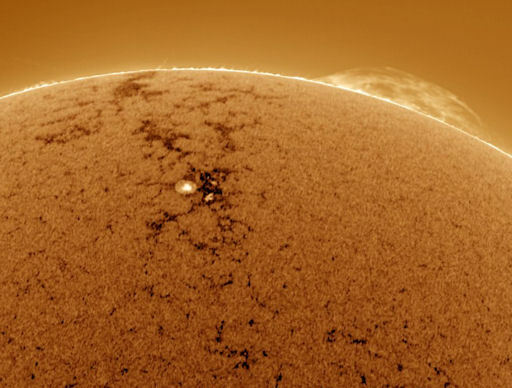 Castillo took the picture using a solar telescope capped with a Ca K filter tuned to the light of singly-ionized calcium. Ca K (“calcium K”) filters are particularly good at revealing the magnetic froth around active sunspots; pictured above is sunspot complex 1614-1615.